The Dragon Quest MMO has been locked up in Japan since it’s launch back in 2012, but it sounds like the series executive producer is interested in bringing the game to the West under a different guise. Speaking at the “Super Dragon Quest X TV Fall Festival 10-Hour Special 2018” (or as I like to call it, the SDQXTVFF10HS2018 for short) and translated by the fantastic folks at Siliconera, executive producer Yu Miyake expressed interest in turning Dragon Quest X into an offline game and bringing it to the West. 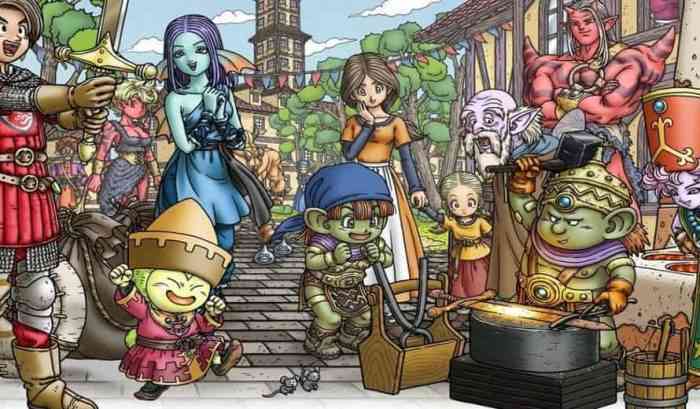 Former producer Yosuke Saito mentioned that the team had discussed the possibility of an offline version before, and the discussion is likely being bolstered by the success of Dragon Quest XI. Dragon Quest X was originally released on the Wii, then ported to the Wii U, 3DS, Nintendo Switch, PS4 and PC.